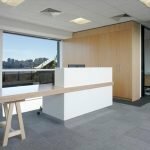 What's the height of an office reception desk? The height of the reception desk in an office seems arbitrary on first sight. However, In fact, there are some scientific principles contained in it, at least human body scientific. Excessive desk height will make it difficult for people to communicate with service personnel or guest when they ask questions, while too low receptionist counters will make the information of service personnel unsafe. and guest inside work. So this requires an appropriate height for all the office receptionist table. 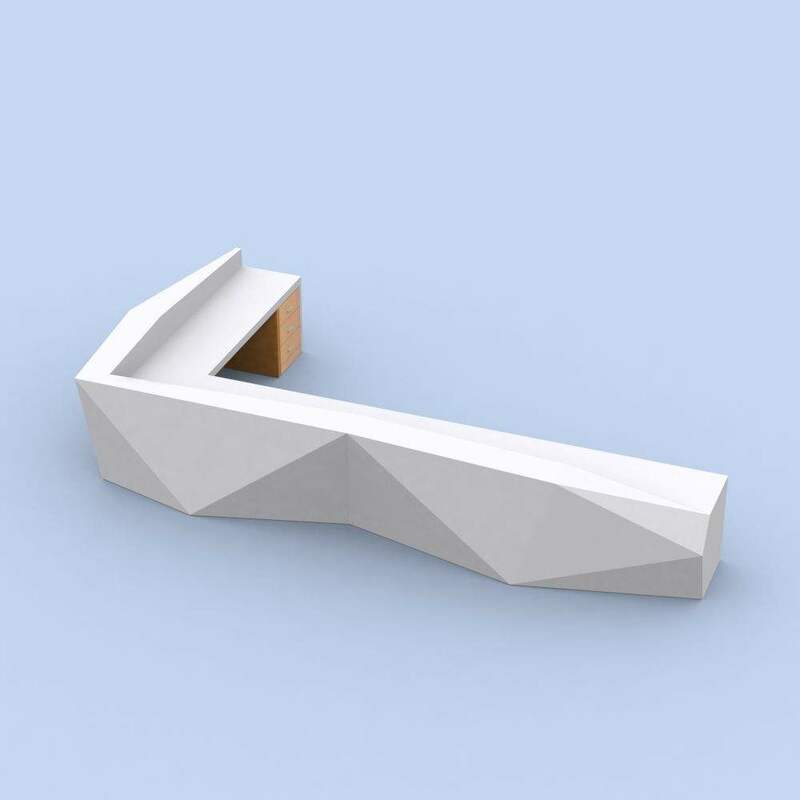 Here come the question, What’s the height of an office reception desk? 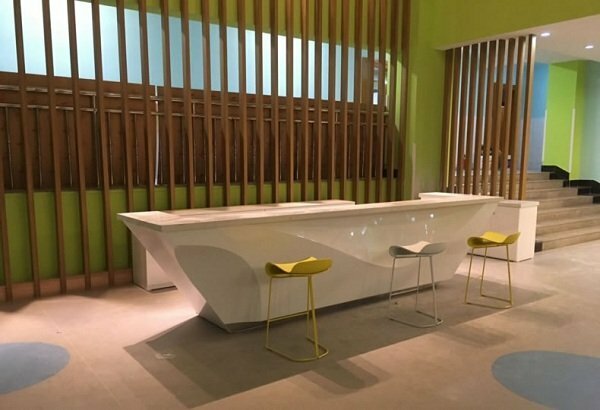 white FRP fiber glass reception counter in office and hall. 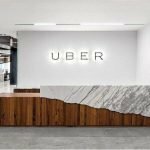 What is the general size of the reception desk? Many people think that size definitely wider and more elegant. The height of the table would be just perfect to use. After all, it also needs a receptionist to sit and work. Front part of the reception desk can be designed into glass or stone materials , but the design of the front desk of the office must be specific size , Those dimensions must based on the actual use of space and layout angle with corporate culture and the overall design style of the office. 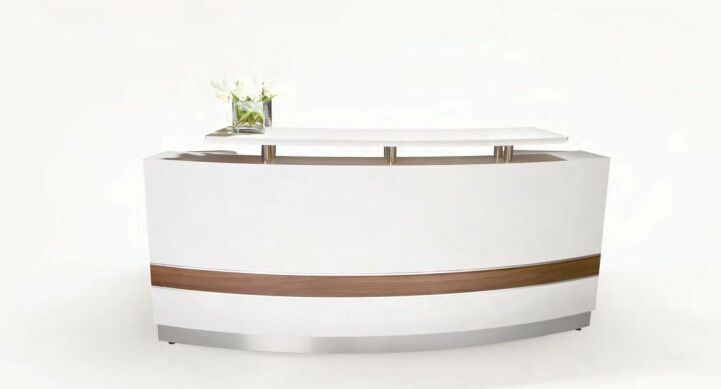 Business Front Desk Reception Desk size must be accommodated with the full space. Layout of reception area must be well planned, otherwise the reception area is most likely to become the accumulation of scattered debris. 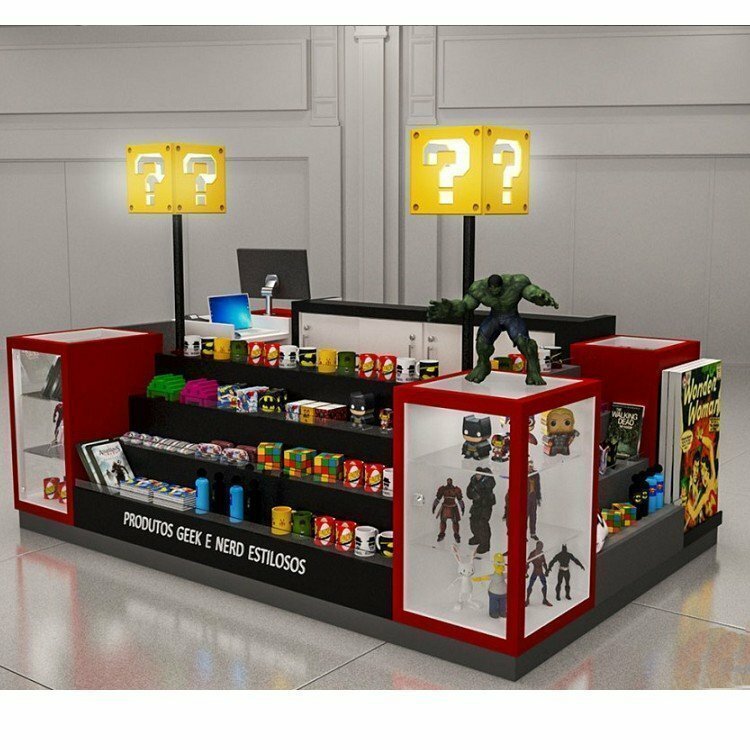 For example, product display cabinets can be placed near the doors, keys and company products can also be used or stored in trays, so that everything has its own location, it will appear neat and clean. Show warmth. The image wall in and out of the front desk is mainly used to divide the indoor and outdoor space. This area is suggestive. It can put some company information and let you enter the office with a kind feeling. Business Front Desk color should match the full office theme and concepts. 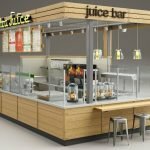 If your office environment has been renovated, when purchasing the reception desk, consider that the color of the reception desk can coordinate with the office background, and take the color and light of the indoor background as the main collocation direction. For example, if the background tone of the office environment is strong, generally speaking, it is not appropriate to choose the reception desk with deep tone, because the space with deep background tone will feel heavier, and will absorb light, forming a heavy and dim indoor atmosphere. To find an appropriate Front desk size, you need to figure out all the issues list above. 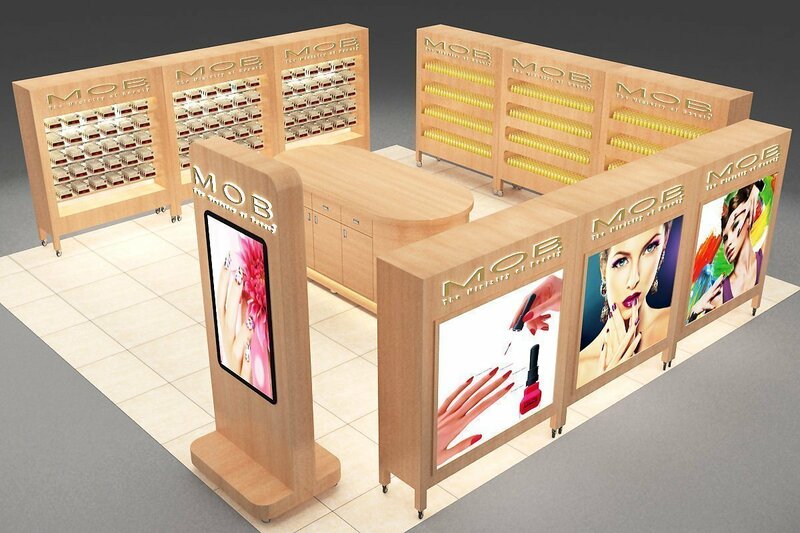 The size of the front desk is different according to the office space, In order to give you a easy configuration , the following product source furniture for you to introduce the size of the front desk bar, the general size of the front desk is: 1200 * 742 * 1050mm, 2400 * 2000 * 1500mm, 2000 * 2600 * 1600mm, 1600 * 600 * 1050mm, want to know more about the front desk products, you can click here(>>>shop ). 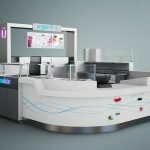 Unique Kiosk is a leading commercial display furniture designer & manufacturers, if you are looking for a high quality office reception desk or hotel reception counter . 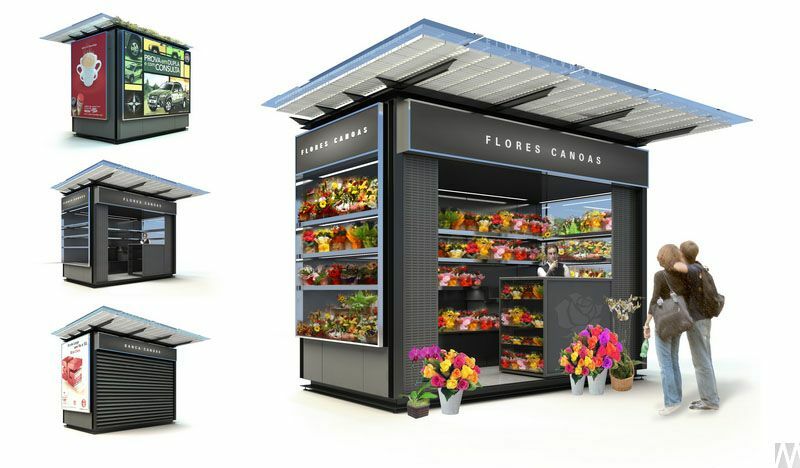 Welcome visit our sites to check design and best price on it.